If we can win the campus today, we will win the world tomorrow. Adopt a prayer plan and prayer team involving a lot of interested Christians. Decide which is better for you, becoming a part of an established campus ministry or starting your own. For best long term impact, connect your campus ministry to a strong Bible-believing local church. Develop a strategy for building relationships on campus and pursue it energetically. Build a campus ministry team, including some who raise support to engage in full-time campus ministry. Choose team members who have the gifts of “winsomeness” necessary for meeting people and building sincere relationships. Begin by building a strong core group of students who are committed Christ-followers and are passionate about reaching and discipling other students. Become thoroughly acquainted with the campus, including the key student hang-outs, administrative officials, campus policies, etc. If you are starting a new ministry, be sure to become officially recognized by the school’s administration and always seek to stay in favor with campus officials. Have an effective plan for meeting freshmen when they arrive on campus and assisting them in getting moved in and adjusted to campus life. Keep in mind the international missions-impact your campus ministry can have by investing time in international students, especially those who will be returning to their home countries after graduation. Think “people groups” as you develop your campus missional strategy and seek to reach as many different people groups (or nationalities) as possible. Use various forms of social media often and effectively. It’s a campus ministry resource that previous generations of campus ministry workers did not have—a “gift” to our generation of campus ministers. Use social events to attract students to your group and solidify the “groupness” of those who are regular participants. Use these events to evangelize and disciple, as well as for fun and relationship building. Consider raising funds to hire interns (for two years or more)—committed Christian students who have demonstrated the ministry skills necessary to reach and disciple other college students. Always have an attractive fall outreach plan, within the first few weeks of the Fall semester—an event or series of events to which your team can invite students, especially new students to the campus. Fall weekend retreats are often used. Use summers and spring breaks for overseas exposure trips and training, such as a short-term missions trip to minister abroad or in some missions-needy area of North America. Build and maintain a contact database for the group—names and contact information for students your staff meets who demonstrate some interest in your message and your group. Think creatively as to how you can gather names of interested students, in addition to personal contacts. Host regular social events throughout the year, pizza parties, game nights, sports events, etc. These don’t need to be expensive nor elaborate. Be very intentional about evangelism. If you don’t make it an intentional part of your ministry, your group will be nothing more than another social club. 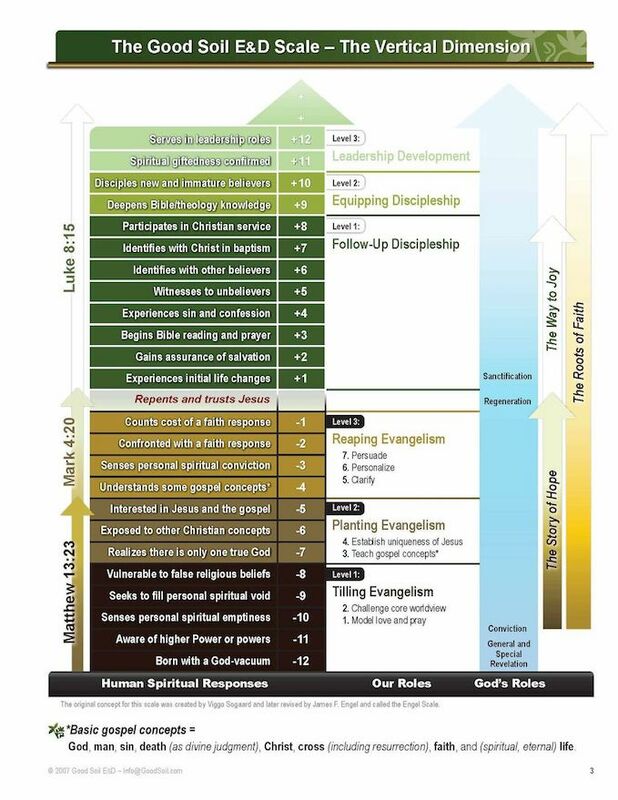 And, also have a systematic plan for discipleship of those who are professing Christians. Plan to grow through multiplication, using the 2 Timothy 2:2 principle. Determine which students to pour your life into, students with the potential to become disciplemakers who will make disciples, who will make disciples, etc. If the numbers come, that’s great. But focus on people, individuals. Build your life into people and enjoy the blessing of seeing some of them become Christian leaders, perhaps even exceeding what you accomplish in your ministry. If possible, establish an office and Bible study (possibly recreational facility) within walking distance from the campus—a place where students can find you and where you can host various ministry or social activities. Establish faculty contacts and support, if possible—Christian faculty members who are willing to vouch for you when necessary. Provide good training for evangelism and discipleship, as well as ministry resources that work well with collegians, even those who come from Buddhist, Islamic, Hindu, postmodern, and other very non-Christian worldview cultures. Be patient! There will be discouraging times when you will want to quit. Press on and the fruit will come, fruit that will remain. Good Soil Evangelism and Discipleship can help you with campus ministry resources and training campus ministry team members. The Story of Hope was specifically created for evangelism (or discipleship) with people from non-Christian worldview cultures, as well as for people who have some basic understanding of Christianity. It begins with the assumption that Bible study participants know little or nothing about the true God, the Bible, or Jesus Christ. It begins with Genesis 1:1 and unfolds the BIG Story of God’s plan of redemption, from Genesis through Revelation. In doing so, it provides the overall context in which the gospel of Jesus Christ makes sense, even to people from other faith backgrounds. It engages participants in direct Bible study, allowing them to have “Aha!” moments about the truths of Scripture, especially regarding Jesus Christ—His claims and His provision for the forgiveness of sins and the promise of eternal life. Available in many languages. Helpful for international students. There is a FREE downloadable Leader’s Guide available. 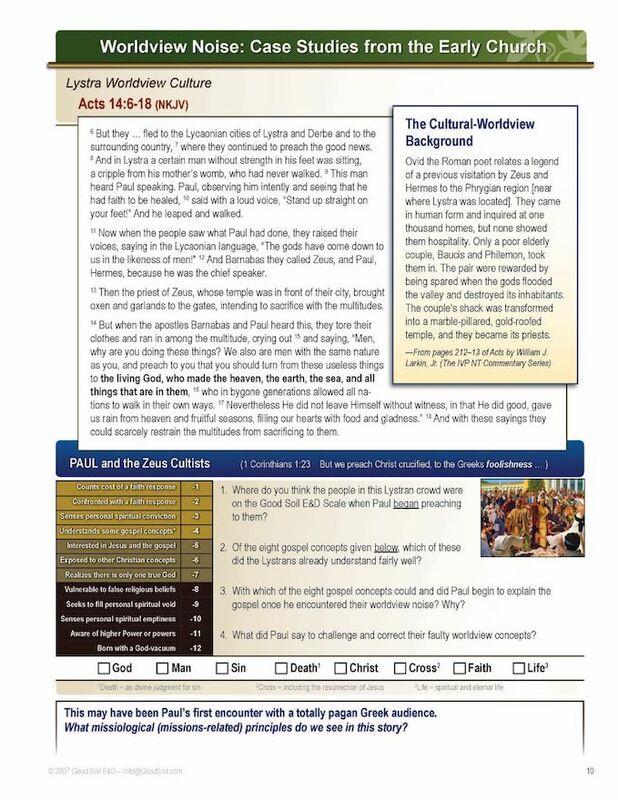 A FREE curriculum guide for teaching The Story of Hope in a class or group setting. 120 beautifully professionally-illustrated pages. Students in your campus group will enjoy the activities used throughout the class—they are FUN and interactive and engaging. And you can purchase the Class Facilitator PowerPoint that contains 400+ beautiful slides to illustrate the lessons! 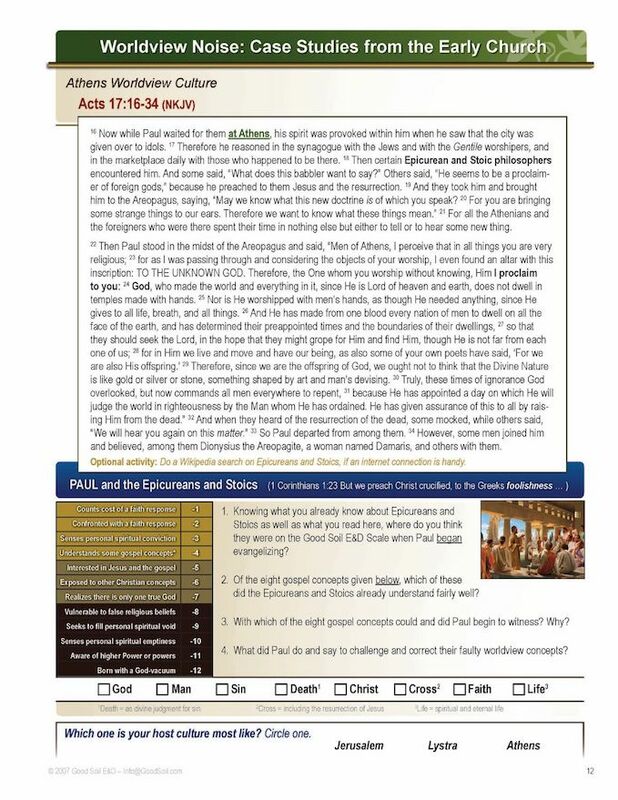 100 Events - to use with more extended presentations of the Bible’s BIG Story. All text can be exchanged with your translated text on the PowerPoint slides. Friday evening’s meeting with the Chinese Fellowship at Colorado State University was great. Meeting in a small apartment, some of the Christians were sent to another meeting to make room for the non-Christians. There were about 25 present, 13 of whom were non-Christians. Everyone intently listened to the presentation of The Story of Hope and there were many questions. Twelve of the non-Christians wanted a copy of The Story of Hope to study more about the “Big Story” of Christianity. It was a wonderful and humbling experience to be a part of that evening. The leader of the fellowship wrote: It was a wonderful chance for nonbelievers to know the whole story of the Bible and for Christians to reassure our faith base. If you want to lead a very simple discussion study, based on The Way to Joy, you will want to use the Leader’s Guide for The Way to Joy—a FREE download. 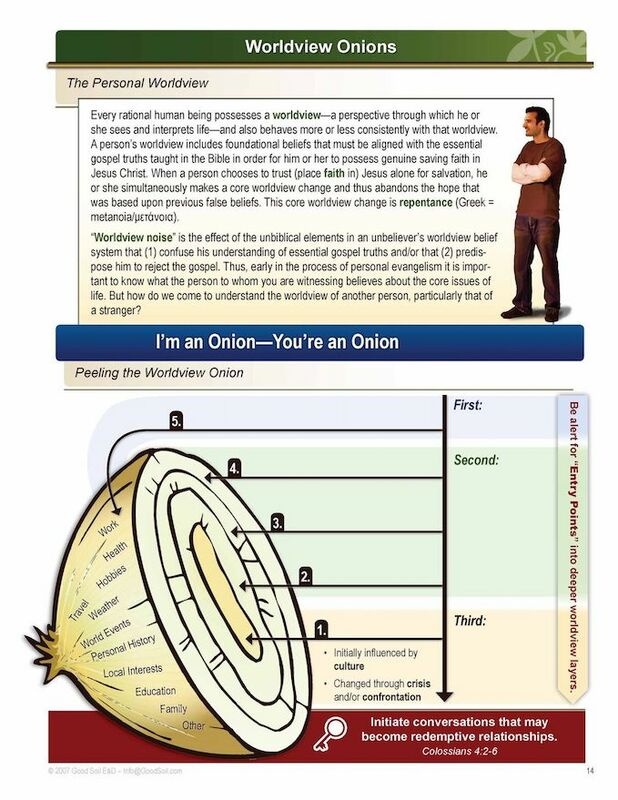 The guide provides answers to the questions in the workbook, as well as an instructional guide for when to do what, and how to do it. The Leader’s Guide makes it easy, for even novice study leaders, to conduct small group discussions. It’s great for one-on-one discipleship or for very small groups. But, if you want to lead a more lively, creative kind of study, you might want to consider the Class Facilitator’s Guide. The Leader’s Guide is a 44 page professionally designed document and FREE for you to download. If you prefer to lead a study that is more active, with a wide variety of learning activities that get your members moving around the room, interacting with various other participants, and keeps the class atmosphere light and lively, then the Class Facilitator’s Guide is probably your best option. This guide is a complete curriculum plan for 13 group sessions. Not only does it cover the content in the workbook, but it is also designed to equip and encourage group members to use The Way to Joy to disciple others. The final session, for example, is called “It’s Your Turn.” It’s a great resource for making disciples who make disciples. FREE access to an online Instructor’s Resource Center with downloadable activities to use throughout the study. Designed for evangelism with millennials or others who enjoy stories and story telling. Connects “where they are in life” to major redemptive story events in the Bible. Perfect for informal small groups. Activities engage participants in learning key Bible stories well enough that they can tell the stories to others. Each session also focuses on learning about God—the God of the Bible—who He is, what He is like, and what he has done. LifeStories is a “stories version” group study of The Story of Hope. Designed for basic discipleship with Christ-followers who love to learn through hearing or telling stories. A complete curriculum plan for small group gatherings. Loaded with creative FUN activities. Participants compare their own struggles and steps of spiritual growth with characters in the Bible. Questions-activities provoke them to think of their own lives and what they can do to become more-committed followers of Jesus. GrowthStories is a “stories version” group study of The Way to Joy. A great Bible teaching resource to use in teaching college & university students. Believe it or not – in just a couple of hours you can teach people to think their way through the Bible, from Genesis through Revelation! You can do so in this FUN workshop that helps them hang the storyline (the BIG Story plot) of the Bible on 25 “Hooks”—major Bible eras that summarize the Bible, from beginning to end. 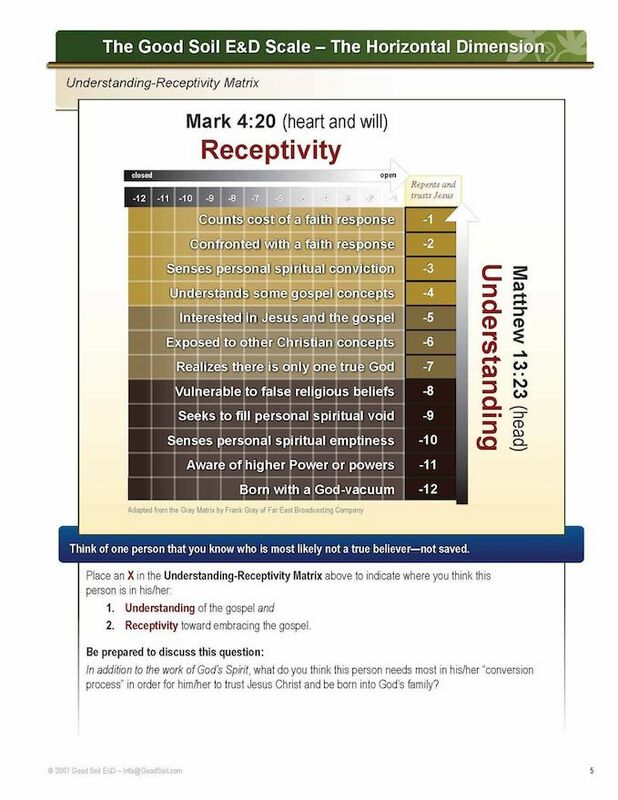 A great Bible teaching-learning activity to use in your ministry with college students. Six and one-half hours of professionally produced, dramatic audio, with 20 professional voice-actors. A 6 ½ audio journey through 100 events in the Bible’s BIG Story. Understand key principles of cross-cultural evangelism that are found in the New Testament, especially from the ministry of the apostles in the book of Acts. Good Soil is solidly based on a Biblical theology of evangelism and worldview-relevancy. Learn many practical tools and tips for effective evangelism, even in cultures that may be totally ignorant of, and hostile to, the gospel of Jesus Christ. Cut through the “worldview noise” that often prevents non-Christians in other faith-cultures from understanding the essential distinctives of the Biblical gospel, and from failing to forsake their non-Biblical beliefs and practices when they do profess faith in Jesus Christ. Present the Bible’s BIG Story of redemption, beginning in Genesis 1 and proceeding chronologically through the Bible to the end of Revelation 22. Do evangelism in a way that unbelievers—even those from non-Biblical worldviews—will clearly understand the gospel, so that they can sincerely embrace it and hold on to it. Begin by attending a Good Soil BASIC Seminar, so that you can enhance your skills in worldview-relevant evangelism and can begin using Good Soil’s resources most effectively. Then, participate in a Good Soil TRAINER CERTIFICATION workshop, where you will be qualified and certified to teach Good Soil seminars with your current campus ministry team and future team members. Participants deepen their understandings of Good Soil theology and missiology of evangelism and discipleship and seminar content. Participants become certified to teach the Good Soil Basic Seminar in their own ministries. Participants become eligible to purchase Good Soil Basic Seminar workbooks. Participants are granted access to the online Instructor’s Resource Center, which includes instructional resources used in Good Soil training. We are so encouraged by your prayerful and thoughtful support of our “B__ N__ G__” (their name for Good Soil E&D) program. It is our prayer and desire that God use this program to help young Christians on our campuses be more encouraged to witness for Christ in daily life with sensitivity and faithfulness to the Gospel. By the grace of God, students who have attended this program show a very positive response and progress in witnessing to their peers. As a teacher and a trainer of college students, you will love and appreciate this Moving Beyond Lecture workshop! Guaranteed. It will enhance your ability to teach college students, beyond what you can probably imagine. 50 chronological Bible event-lessons, from Genesis through Malachi. 50 chronological Bible event-lessons, from the Intertestament Period through the Book of Revelation. Teaching the Bible chronologically, in a way that equips students for effective ministry in a world of competing faiths and cultures. Chronological Bible survey courses—Students master the overall chronological framework and core content of the Bible. Biblical theology courses—The Bible’s basic theological concepts are presented as they were progressively revealed, from Genesis 1 through Revelation 22. 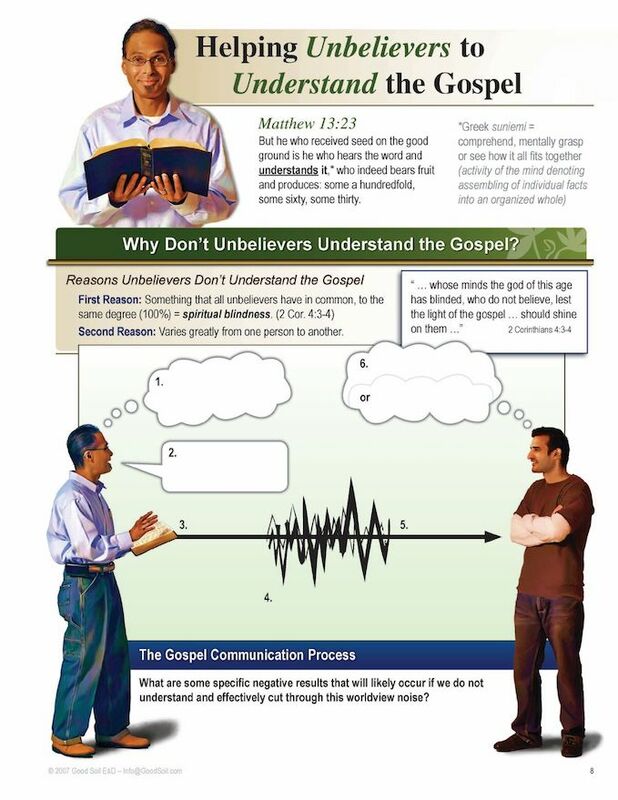 Worldview apologetics courses—Common non Christian worldview (“worldview noise”) issues are addressed throughout the courses in order to equip Christ-followers to live and minister in a world of competing faiths and cultures. 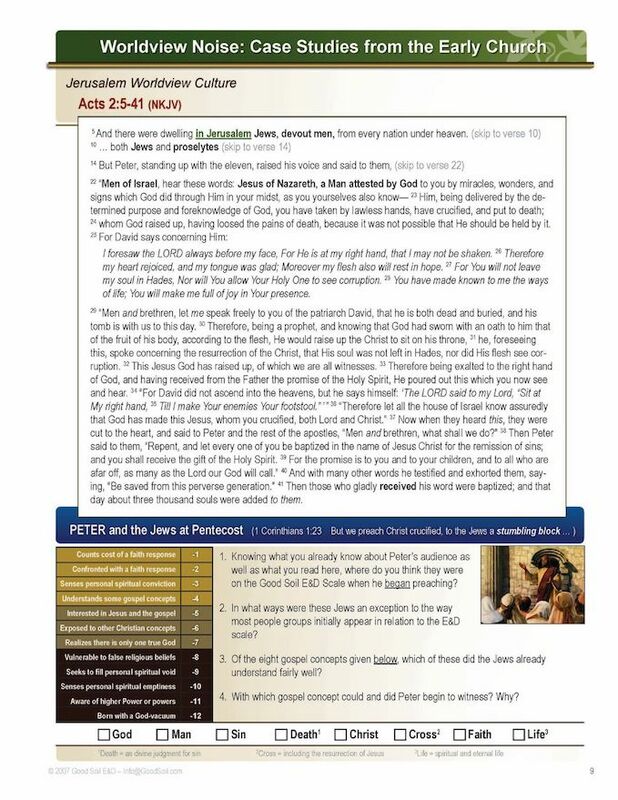 Downloadable Bible commentary for each course, to provide expert help for all of the Bible passages included in the lessons. Instructors Guide for each course. Access to online instructional resources for each course. Additional supplemental resources are available, such as printed and PowerPoint teaching visuals and chronological Bible cards and more. Great Bible training for your campus ministry staff. Also, an excellent summer training project for other members of your campus ministry group. Ask us about a group rate. How can you be certified to teach The Roots of Faith Courses in your ministry? Learning to Share God’s Redemptive Story in a World of Competing Faiths and Cultures. Gaining Ground with Good Soil is a story about missionaries. In an interesting narrative form, it explains the theology and missiology of evangelism and discipleship of Good Soil E&D. You will love the story of a missionary couple, and their national colleagues, who learn some Biblical principles that revolutionize their ministries—Good Soil principles that can help you to become more effective as well. The audio book can be downloaded to your phone or pad. Audio clips from the audio book can be used to spice up teaching sessions. There is a FREE Leader’s Guide for teaching the contents of this book in 12 or more class sessions. See the FREE resources below. This morning, Josué asked me about how he can share his faith more effectively with his friends at school. I’ve been reading Gaining Ground with Good Soil, a book about evangelism, written by Gil Thomas, a former missionary to Portugal. I’ve been learning a lot from the book and I was able to share some of it with Josué. All the resources needed for teaching Gaining Ground with Good Soil in your campus ministry group. 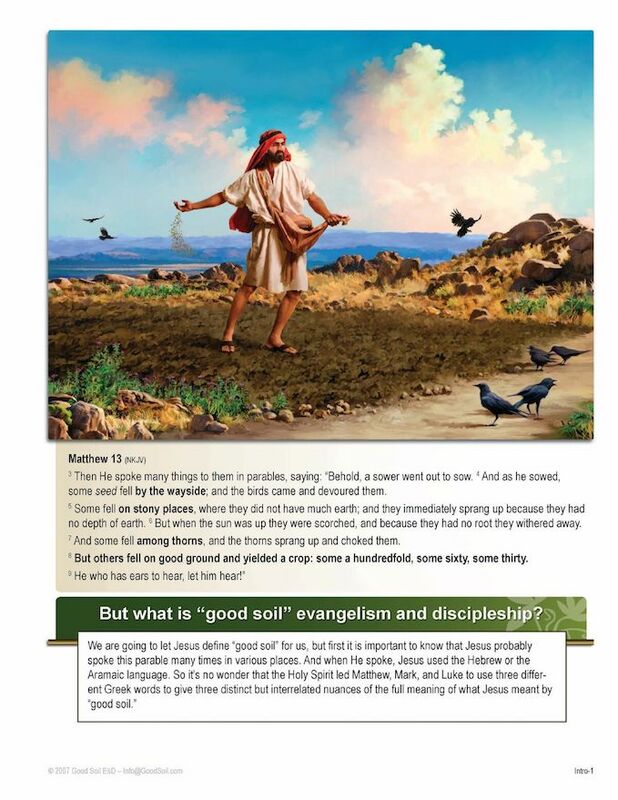 Gaining Ground with Good Soil is an evangelism and discipleship training narrative—a scaled-down version of the Good Soil Evangelism and Discipleship seminar in a narrative format. The principles gained from this book are applicable for anyone wishing to serve God through Biblical evangelism and discipleship, but is especially instructive and helpful for campus ministry leaders. The realistic, but fictional narrative, around which the book is developed, tells the story of a couple of missionaries who were frustrated and discouraged—to the point of almost giving up—because of their lack of success in evangelism and discipleship on their field. But, the “Good Soil” principles they learned from Bible study revolutionized their ministries. It will help you think through a theology of evangelism and discipleship and help you to present the gospel so that people will clearly understand it, sincerely embrace it, and firmly hold on to it. If you are a campus ministry leader, with a USA shipping address, and will commit to reading this book, we will send you a FREE (and postage-free) copy of Gaining Ground with Good Soil. Good Soil provides an entire toolbox of resources for campus ministries. The focus of this page has been on using Good Soil in your campus ministry. But, Good Soil provides training and resources for many different kinds of ministries.